This book the perfect example of creativity. This is a story that could actually happen in the real world, which had me that much more enraptured with it. Victoria Perkins is a wonderful story-teller. I personally loved the way she would write what a character was thinking, but in parentheses she would put how they actually felt. I've never seen that done before and I think it's ingenious! The flashbacks in the story helped slowly build on the suspense as well. My favorite character was Pacey, he understood what Cassidy was going through because he had went through his own trauma of losing his both his brothers and his mother in an automobile accident. He also had the gift of seeing if someone was being truthful, whether to believe them or not. These two things is why he believed Cassidy and decided to help her, in the process, falling in love with her. I loved the way the book was set up, since it's titled "Three, Two, One", it started with the "Epilogue" then the chapters went from 7 to 1, then ending with the "Prologue". I thought that was very original and stayed very true to the title, as well as the story. Overall, this is one of my new favorite books! 5 stars all the way! Now it's my privilege to introduce the talented, intelligent, amazing, and someone I'm lucky enough to call my friend, Victoria Perkins! 1.) Who or what inspired you to start writing? VP: I've actually always wanted to be a writer. For as long as I can remember, stories have fascinated me. My mom says that even when I was just a couple years old, I'd tell her to go away and I'd sit and make up stories with my toys. My earliest memories of playing with Barbies is giving them all new names and creating backstories for them. 2.) Do your family and friends support your writing? VP: I've been blessed to have an extremely supportive network of family and friends. Writing is all I've ever wanted to do, and my friends and family, especially my parents, helped me balance the realism of the field with pursuing my dreams. They never once asked the dreaded writer question "But what are you going to do for a real job?" 3.) If you weren't a writer, what career would you have chosen? VP: For five years, I taught junior and senior high students at a small private school. If I wasn't writing, I would probably be a junior or senior high teacher either in English or drama. I loved working with the kids and seeing how they grew and matured over the years. 4.) Where did you get the idea for the plot of your story? VP: "Three, Two, One" actually came from a short story I wrote for my creative writing class my senior year of high school. My teacher gave us a writing prompt (which I don't remember) and the result was a story that is now the opening of the book. 5.) Where did you get your ideas for your characters, and are they based on real people? VP: Some of the minor characters who are crossovers from my first novel, Reeves' Island, were originally based off of real people, though that changed as their story was revised. None of the characters in Three, Two, One, however, are based on anyone I know. After writing the short story, the characters of Cassidy, and then Nora, started to take root in my mind and I needed to get their story out. Having Nora in my head was...interesting. 6.) If you can tell us, what will your next work be about? VP: Right now I'm working on a fantasy book that may be the first in a series. It's going to explain how characters from my books appear in genres and worlds completely different than the ones they were originated in. 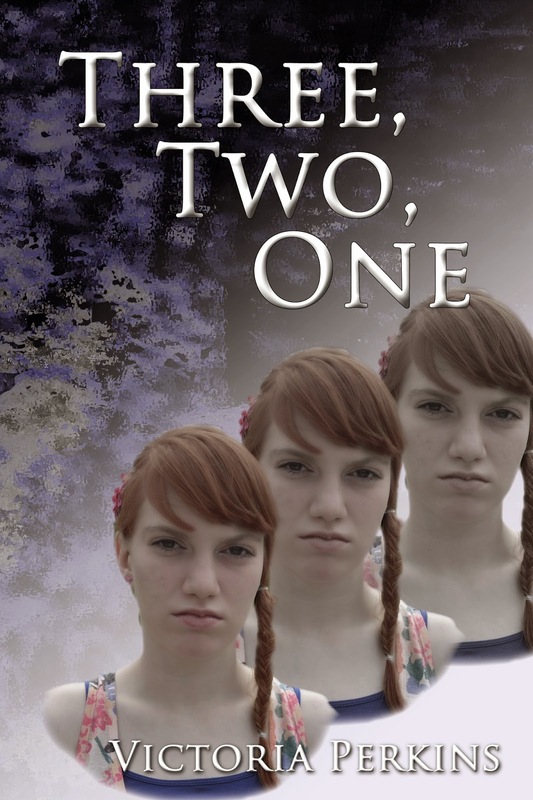 For example, the minor character of Andrea Monroe in Three, Two, One, appears in The Dragon Three, my newest novel, which is a fantasy. The only other thing I can say about it is there will be a lot of references to classic literature. 7.) What is your favorite book? VP: I can never choose just one. I absolutely love C.S. Lewis's Chronicles of Narnia and J.K. Rowling's Harry Potter series. I'm also a huge fan of Stephen King's The Stand, and I've more recently fallen in love with the Divergent series as well as Cassandra Clare's works. 8.) What is your favorite book genre? VP: I'll read almost any genre, as long as the book's well-written, but I do have a soft spot for the fantastical, whether that's brought out in horror, paranormal, urban fantasy, science fiction or other sub genres. 9.) What is your writing process? VP: For my own personal work, it usually starts with an idea. Sometimes the protagonist(s) come with the idea - that happened with My Immortal, 'm Cara - and other times, once I get the idea, I create the characters to go with it. If I get an idea of where certain things are going to go, I'll write them down, but I never have a concrete outline because the story sometime changes. That happened with The Dragon Three. I thought it was going to go one way, but it ended up in a different place than I'd originally planned. 10.) What is your favorite book that has been adapted into a film or television show? VP: Right now, I'd have to go with Game of Thrones. I tend to separate books from movies or television shows because I know that with different mediums, there are going to be changes. For example, I love both versions of Under the Dome, but the book and the show are different. I thought Divergent was well done and I enjoyed the Lord of the Rings films, but Game of Thrones is, in my opinion, one of the best book to screen adaptations I've seen. Share book reviews and ratings with Teena, and even join a book club on Goodreads. "Reading Addict Reviews" Written by Christine W. (Teena Reid) & Edited by Tim W. Awesome Inc. theme. Theme images by sebastian-julian. Powered by Blogger.